At Beacon Veterinary Hospital, we treat your pets like the valued family members they are! Beacon Veterinary Hospital is more than just pet care. We pride ourselves on taking an alternate approach -- one that blends extraordinary pet care with your family’s needs and lifestyle, acting as good stewards for our animals, our environment, and our community. In the heart of historic downtown Swannanoa, against the gorgeous backdrop of the Blue Ridge Mountains, Beacon Veterinary Hospital is nestled between the famous North Carolina artisan communities of Asheville and Black Mountain. As part of this community, we recognize the rich historic nature of our building and the region. Our name is, in part, a tribute to this area’s historical treasure: the Beacon Blanket. Light from a Beacon guides travelers safely on their journeys, or it can be used to celebrate life’s special moments. Through either turbulence or celebration, the Beacon is constant and unwavering, warm and inviting, joyful and safe. 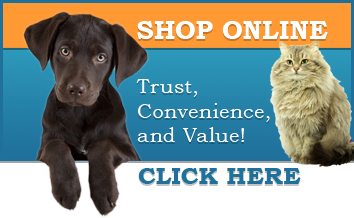 In this way, we see the Beacon as the perfect symbol of our commitment to you and your pet! We invite you to explore these pages and get acquainted, to learn why you will want us as “your other family doctor!"